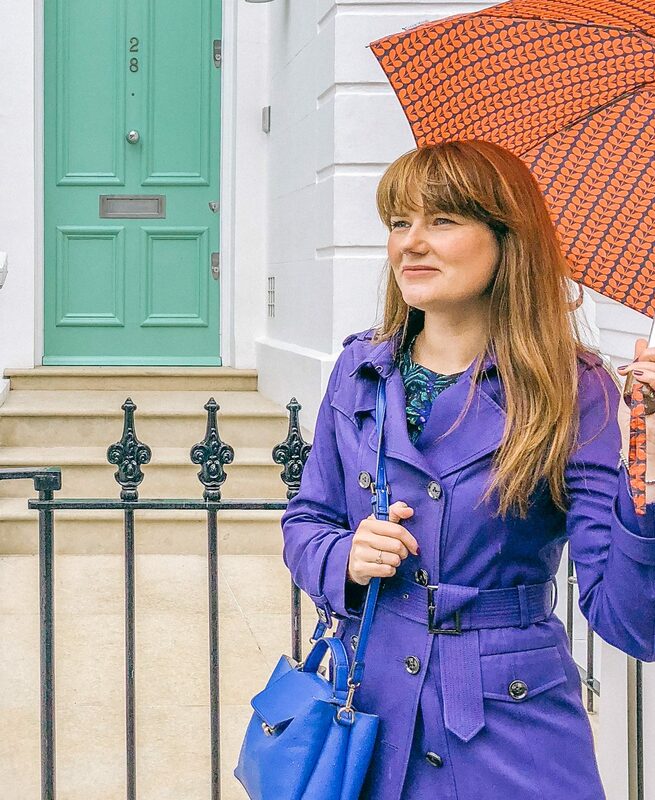 Amy Pereira of @littlehouseinlondon has a fantastic Victorian Terrace in London which she decorates, hosts amazing parties and uses to show the independent artisans products she finds. 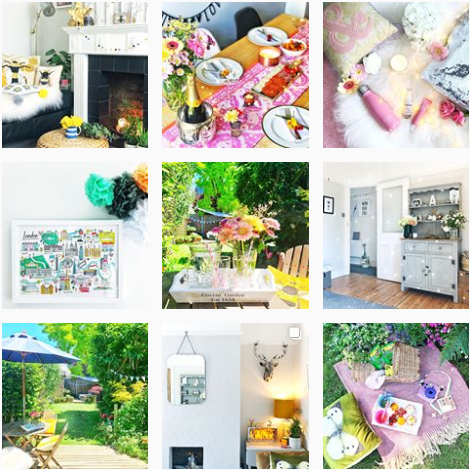 An art director of interior shoots, she is also the founder of the #myhousethismonth monthly competition which is fast becoming the number one interiors hashtag. 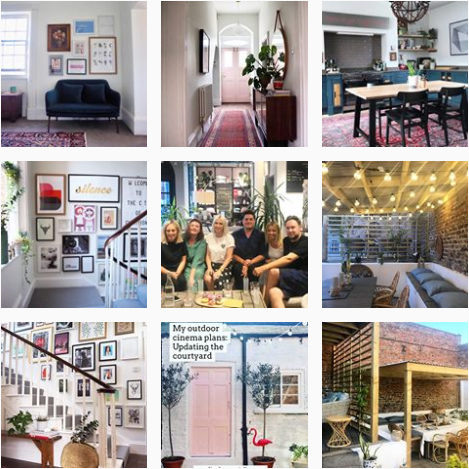 Architectural Digest, @archdigest, is a bible of all interior designers and they use their instagram account to inspire everyday. Full of beautiful images from around the world, all interior styles and even gardens are featured. 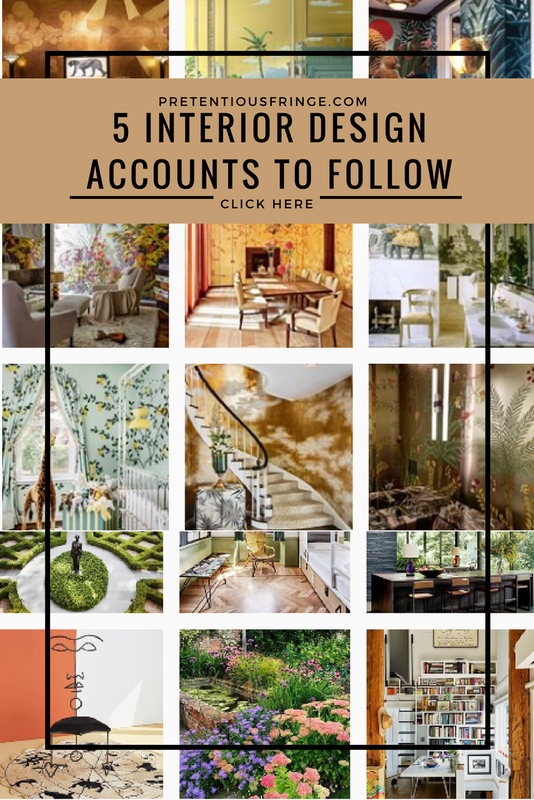 de Gournay, @Degournay, has beautiful hand painted wallpapers for all styles of house whether you want something French, Chinese or modern. 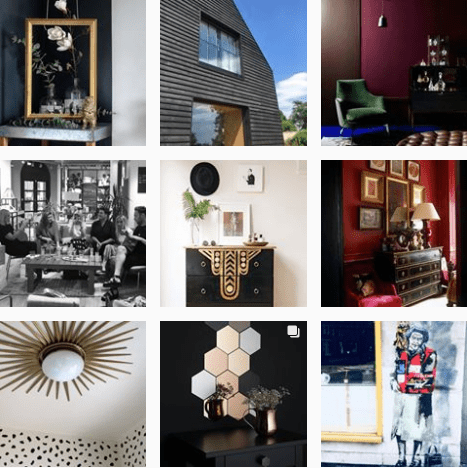 Each year they create bespoke collections and their instagram account is just dreamy! Julia Alexander Interiors, @juliaalexanderinteriors, is one half of Alex and Bro with their luxury, dark and moody interiors. Keen to share their knowledge and make good design accessible to all they run a number of workshops every year for you to attend. Lisa Dawson, @_lisa_dawson_, started me on the path of interior design accounts when I met her at a West Elm event. Her background in fashion retail and real estate set her up for creating a award winning blog and delightful instagram account.